artists/songwriter/producers in the U.S. notably on his Digital Radio Tracker Top 50 Gospel/Christian Chart #1 Song, “You Prosper Me, featured on the LP entitled, Live Again that debuted at No. 21 on the Billboard Gospel Album Sales Chart. The Album reentered at No. 21 on the Billboard Gospel Album Sales Chart two weeks later. Chasing the November 2016 Release, is Hancock’s latest project, I’m Free! Lawrence has compiled a 10-track album that is loaded with variety utilizing Gospel, Retro-Soul, and Hip-Hop themes. His hit singles, “I’m Still Here” and “I’m Free,” are effectively impacting global radio. The Quartet feeling “Touch Me Again,” featuring Nikki D & Gloria Brown, is on deck as the next Single with early radio reviews generating enthusiasm. Teaming up with BET’s 106 & Park Freestyle Rap Champion B. Wills on “Incredible” and arguably the most effective Christian Hip-Hop Song to usher corporate worship “Perfect Timing, Hancock demonstrates his composition and producer skills that will impact Millennials. Bishop didn’t forget about Sunday Morning on the hand clapping/head bobbing “Can’t Live,” a Choir Director’s dream. Along the way, this Album gives listeners stops in several styles of Urban Christian Music making it truly a musical journey. Bishop Lawrence Hancock, from the shadows of Detroit, MI is one who is a Servant-Leader in Toledo, Ohio who utilizes his gifts and talents refined at the DePaul University (Chicago, IL) and Berklee College of Music (Boston, MA) as the senior leader of the Final Harvest Church. 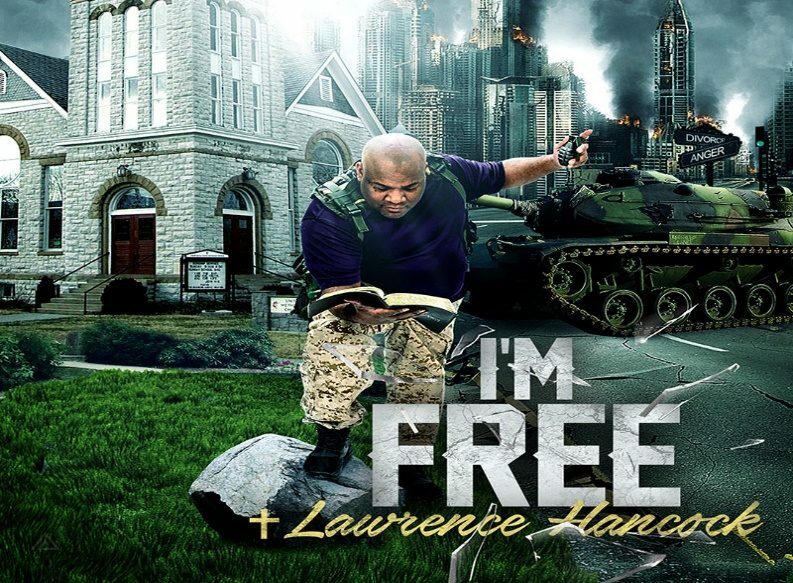 God trusts Hancock to balance being a Pastor and an Artist…he knows which comes first…through life’s challenges…declaring to be free indeed! I’m Free is available for Download on iTunes, Amazon, and Google Play and other Digital Outlets on March 30, 2018! All Digital Download proceeds will be granted to the Final Harvest Church Building Fund! The project will also be available on Tidal, iHeart Radio, and Spotify. Connect with Bishop Lawrence Hancock at www.artistecard.com/BishopHancock for engagements, music, news, and social media.